Molecular biology is one of the most advanced fields of science which utilizes latest techniques and methodologies. Presently, application of molecular biology techniques in clinical diagnostic is the latest trend and more reliable than any other methodologies presently available. Recent developments in molecular methods have revolutionized the detection and characterization of microorganisms in a broad range of medical diagnostic fields, including virology, mycology, parasitology, microbiology, etc. 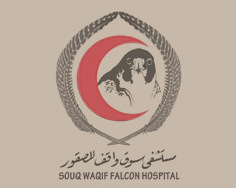 Souq Waqif Falcon hospital is equipped with latest molecular biology lab consisting of most modern equipments. Here we are capable of undertaking basic molecular biology tests to the latest gene sequencing. 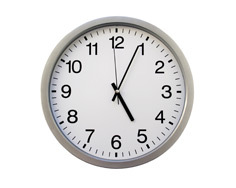 We are using computers, computer-interfaced equipments, and robotics and high-technology industrial applications in order to analyze clinical samples. The generously equipped laboratory consists of automated DNA/RNA extraction instrument (Bio-robot) capable of extracting nucleic acids from samples in few minutes, full spectrum UV-Visible Spectrophotometer used to quantify and assess the purity of DNA, RNA, Protein and more. SWFH molecular biology lab is equipped with latest conventional and Real-Time PCR machines. As a downstream process of conventional PCR we have DNA screening Bio-robot which is a fully automated capillary electrophoresis unit. The lab is also having latest Genetic Analyzer which is a fluorescence based DNA analysis instrument using capillary electrophoresis technology. We are able to sequence pathogens up to sub species level, thus taking the clinical diagnosis to the core.